1958 was a significant year for both the 12th Hole and the Masters. It was during this year that Herbert Warren Wind first used the term “Amen Corner” to refer to the perilous challenges of the approach shot on #11, the 12th Hole, and the tee shot on #13. The Hogan and Nelson Bridges were dedicated that year as well. It was also in 1958, that Arnold Palmer donned the first of his four Green Jackets. 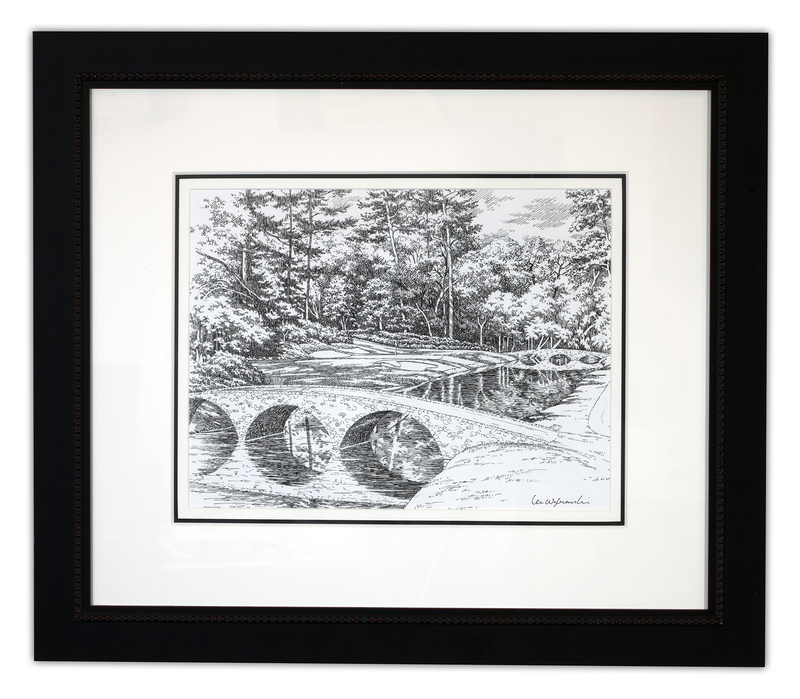 Lee Wybranski uniquely captures the tranquil majesty of the 12th Hole in this Pen & Ink style sketch.